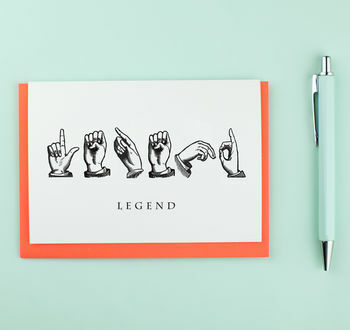 A funny birthday card featuring sign language spelling out the word 'LEGEND'. Printed on luxurously thick 350GSM white diamond embossed card stock. FSC approved, made from responsible and sustainable sources. Card comes protected in a cellophane wrapper, with a bright, coral coloured envelope. Proudly printed and produced in England. 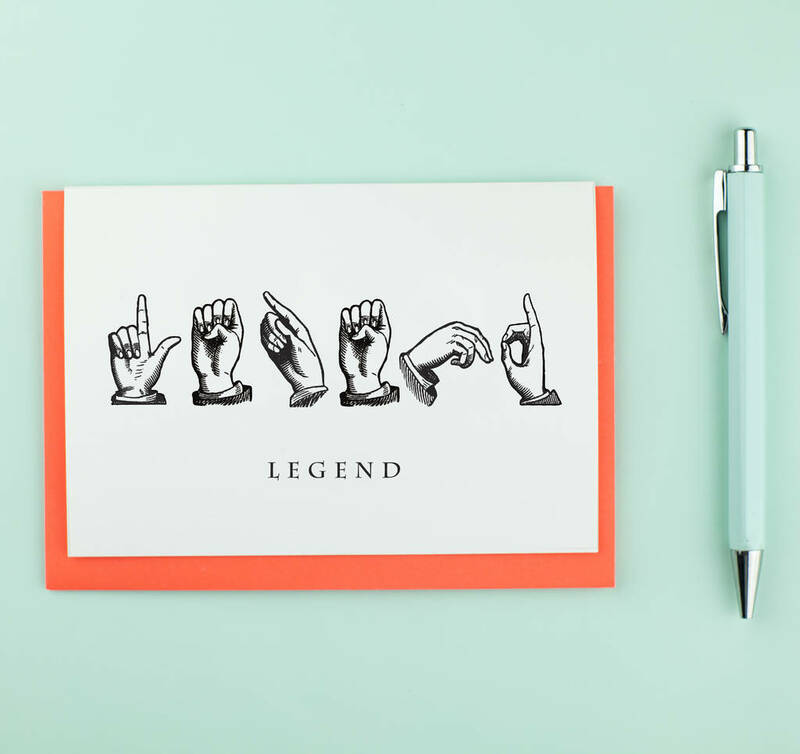 Please see our other listings for more sign language cards such as BADASS, DAD and BEER. This product is dispatched to you by Bird Brain London.